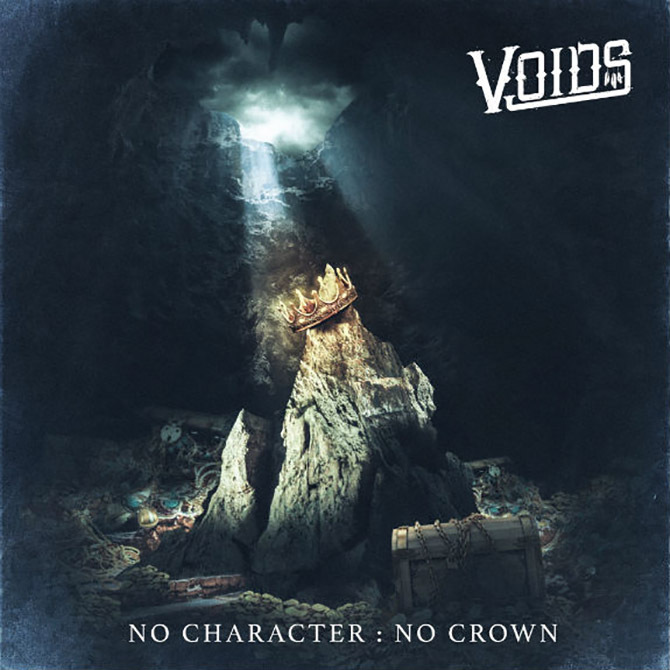 Voids are a metalcore band from the US and this is their debut album. Heavy, heavy, heavy! That’s the aim of Voids. Well, that and ripping up your local pit. Well, that and providing a singable chorus. Well, that and…okay, so there’s more to Voids than you might initially think, as they operate in a few different metalcore circles, and largely do all of them quite well. There’s an old-school metalcore feeling to some of this, (despite that fact that ‘old-school metalcore’ sounds like an oxymoron), while at others the music is decidedly contemporary, modern, and fresh. Moments of crushing deathcore appear here and there, counterbalanced by clean melodic singing, usually in the choruses, (but not always). Although none of this is that original, it’s all done so well and presented in such a professional package that it doesn’t really matter. Voids inject enough personality into their music to work for them, and at under 37 minutes long, the album’s a decent length to get through and enjoy without outstaying its welcome. Yep, this is one to blare out at high volume before going out, or to get pumped and motivated for the gym. Muscular and heavy, it gets the blood pumping appropriately, while still having enough other things going on to draw you back for repeat listens. This entry was posted in Metal and tagged Deathcore, Metal, Metalcore, Voids. Bookmark the permalink.